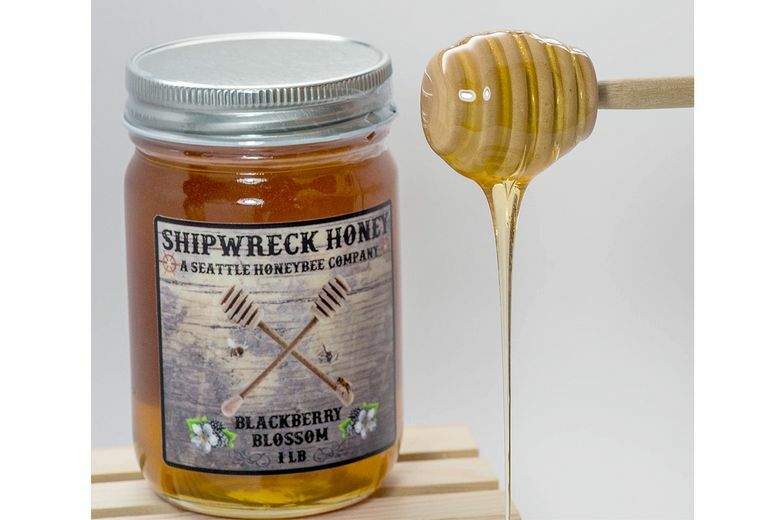 Shipwreck Honey is raw, pure and local — made by West Seattle bees. Straight from the hive, Shipwreck Honey is 100 percent raw, pure, local artisan honey, made by West Seattle bees. Daniel Sullivan follows in the footsteps of his great-grandfather, who was a mountain beekeeper. He hand-mills and gently filters each batch, with just a few small steps separating the hive from you. The flavor and color of the silky nectar varies to reflect the local seasons. Shipwreck Honey is unpasteurized and available by the jar or in a corked nautical flagon for gift-giving. Nothing is left unused in the process — the beeswax is made into candles and soaps, and the summer drones are donated to feed local hens.